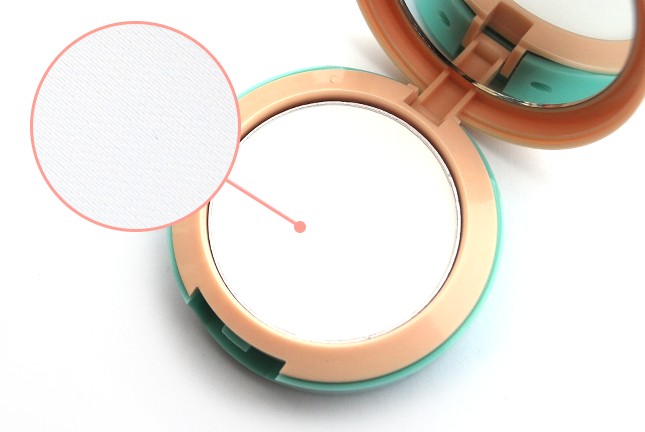 The plastic compact, a combination of beige and mint, is fairly secure and not bulky. It's the perfect size to slip into any bag, and you won't need to worry about the lid opening on its own. 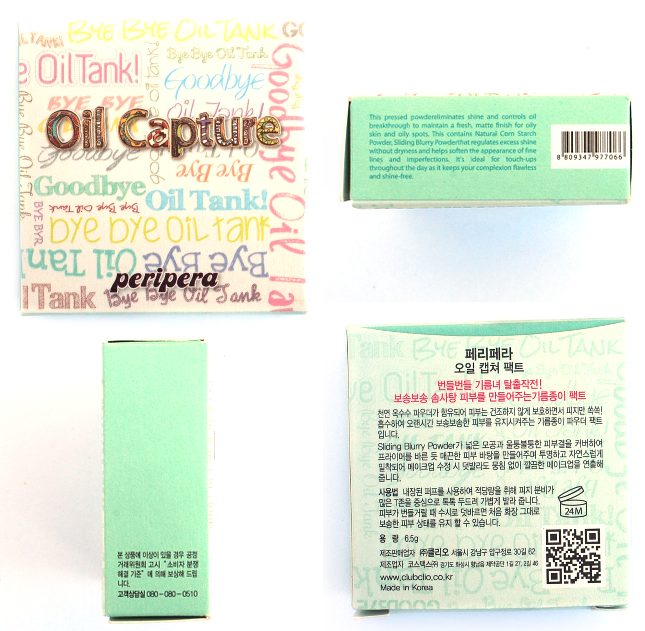 The design on the top of the lid, which consists of a mixture of fonts and the words "Good Bye Oil Tank", adds just the right touch of fun without appearing messy or over-detailed. I personally really like the overall design of the compact, although some people may find it a bit childish compared to more mature brands. There's a mirror on the inside of the lid, which is actually quite helpful for on-the-go retouches despite its small size. 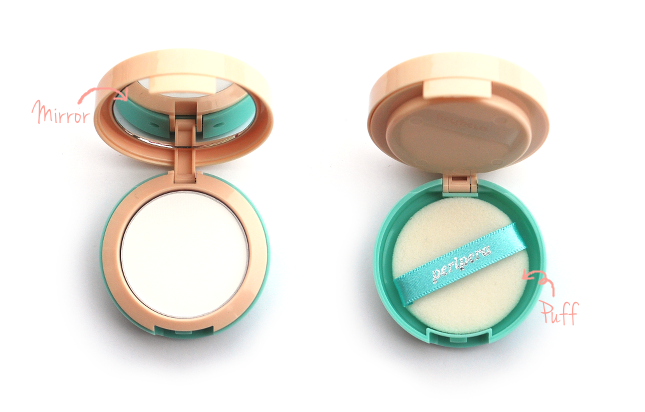 The included puff is really nice too, and is stored in a separate space beneath the pressed powder. I feel that this is slightly more hygienic than a piece of plastic separating the puff from the powder (like it is with air cushions) and of course way more hygienic than just having the puff touching the powder all the time. I'm not sure if you can see in the picture above, but the pressed powder (prior to use) had an almost ribbed texture to it, which will eventually smooth out when through usage. There is a faint baby powder smell to it that is neither overwhelming or unpleasant. Of course, I speak for myself since the scent of baby powder doesn't bother me at all. If you dislike it, however, then you probably won't like the smell of this powder. The good news though is that the scent doesn't linger at all and fades almost immediately upon application. I tried using a brush to show the texture of the powder, but I'm not sure if it's showing up that well. But either way, it's extremely fine and doesn't look cakey at all. Even though it appears white in the pan, the powder is invisible once applied to your skin, leaving a smooth, matte finish. As you can see from the picture above, any shine is removed immediately upon application. I used a CC cushion that has a dewy finish to show the results. According to Peripera, you can also use this on your hair as well. 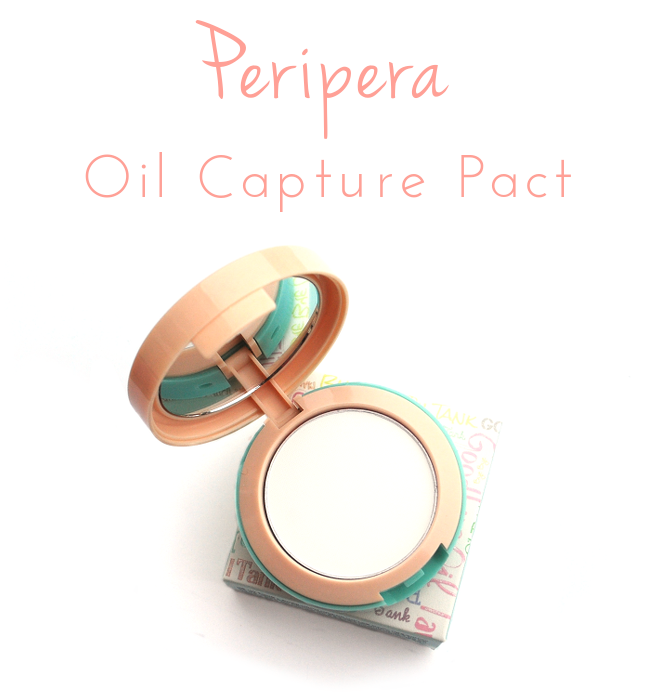 The Peripera Oil Capture Pact has been a daily must have for me now ever since I got it. It does a great job in absorbing any excess oil on my face and leaves my skin feeling so smooth and silky. It doesn't accentuate any dry patches either. I usually have to blot my face about 3-4 hours after leaving the house (on regular school days), but after using this I don't feel the need to reapply until 7-8 hours later. This is a pretty amazing feat and I'm kicking myself for not trying out pressed powders earlier. 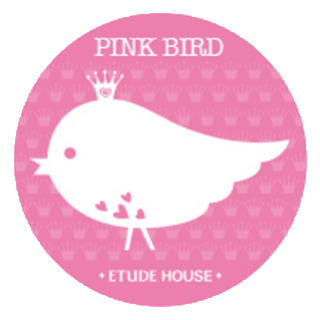 lol I remember that I wanted to try the Make Up For Ever HD Pressed Powder awhile back, but now I'd rather just buy this one instead, especially since the price of the Peripera one is only a third of MUFE's. 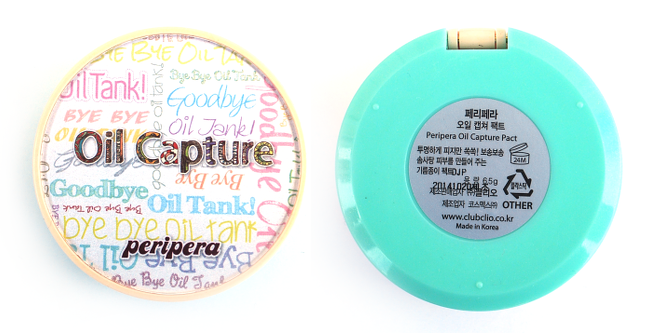 You can get the Peripera Oil Capture Pact at Jolse for $12.48 with free shipping. I think you'll like it! 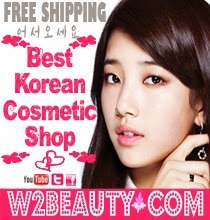 :D You can never go wrong with powders after all, so this might be the perfect place to start for Peripera products. 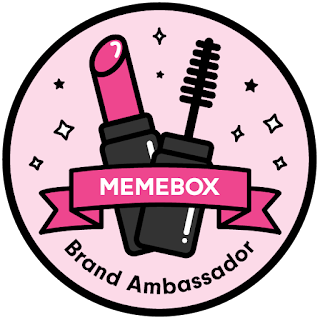 I've also heard that they have good lip products, so take your pick lol I'd definitely recommend this though if you're looking for a new transparent powder!